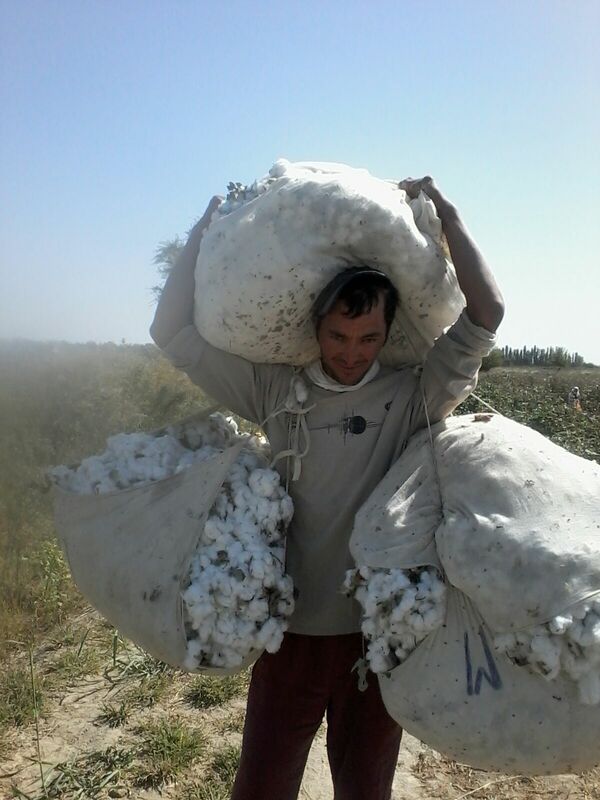 The cotton harvest season in Uzbekistan has begun once again, as has the forced mobilization to the cotton fields. 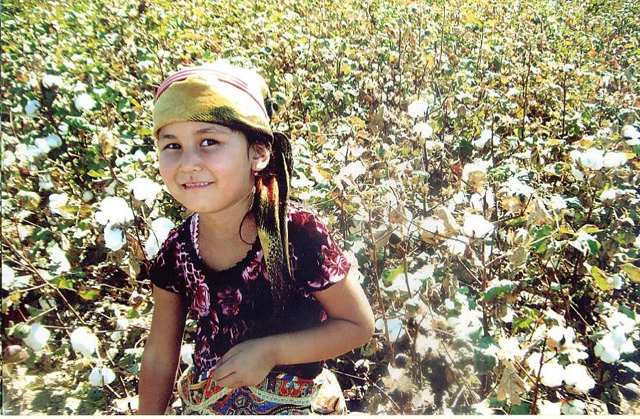 The harvesting of cotton began on September 6 in several regions of Uzbekistan. 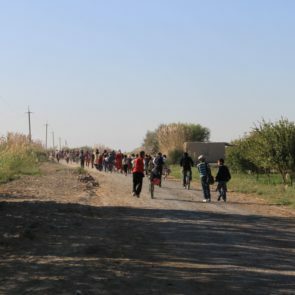 According to preliminary data, the forced mobilization of public sector employees to the cotton fields is taking place now all over the country. 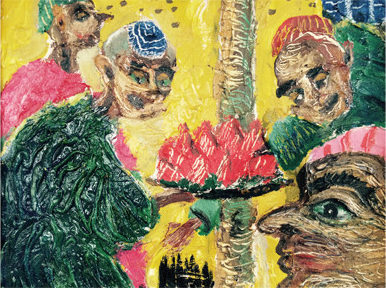 Monitors from the Uzbek-German Forum for Human Rights (UGF) conducted interviews with workers in schools and hospitals. 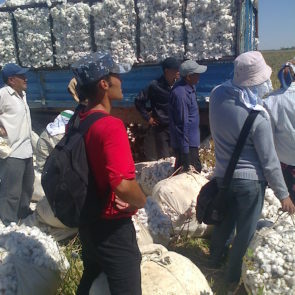 According to them, the management of state institutions requires workers to sign statements “of voluntary participation in the collection of cotton”. 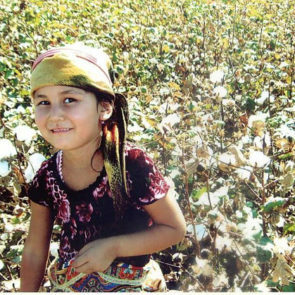 In some cases, “decision of helping the motherland to harvest cotton” are adopted at collective meetings of the public organizations. 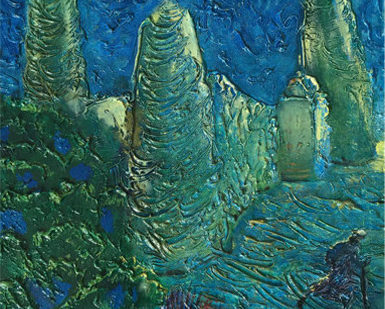 Information about such confirmative letters of “voluntary participation” was received from the Syrdarya, Jizzak, Andijan regions and the Republic of Karakalpakstan. 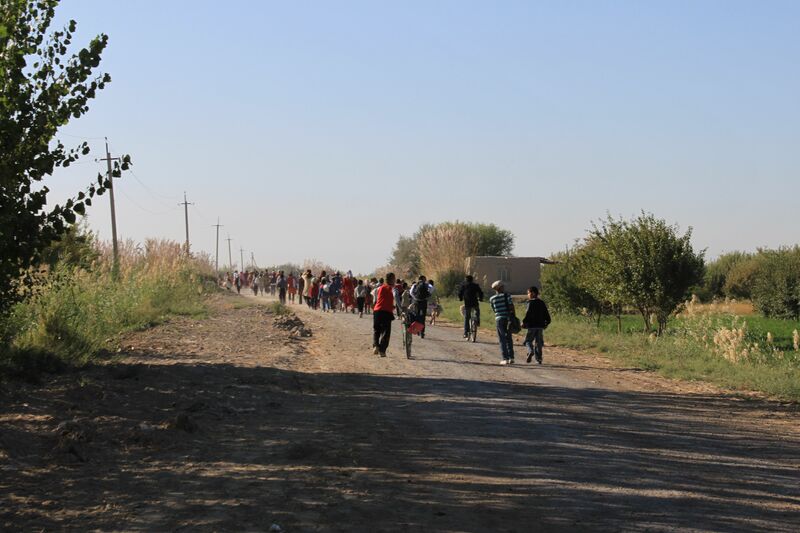 In the Republic of Karakalpakstan, doctors from central hospitals in the Turtkul and Ellikala districts told UGF that the hospital management recommended employees to hire pickers instead of themselves and stay at their workplace. 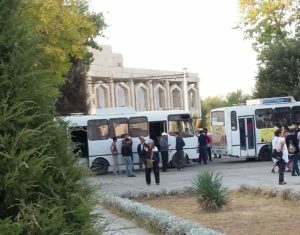 The mass departure of workers and large parts of university students is planned for September 15. 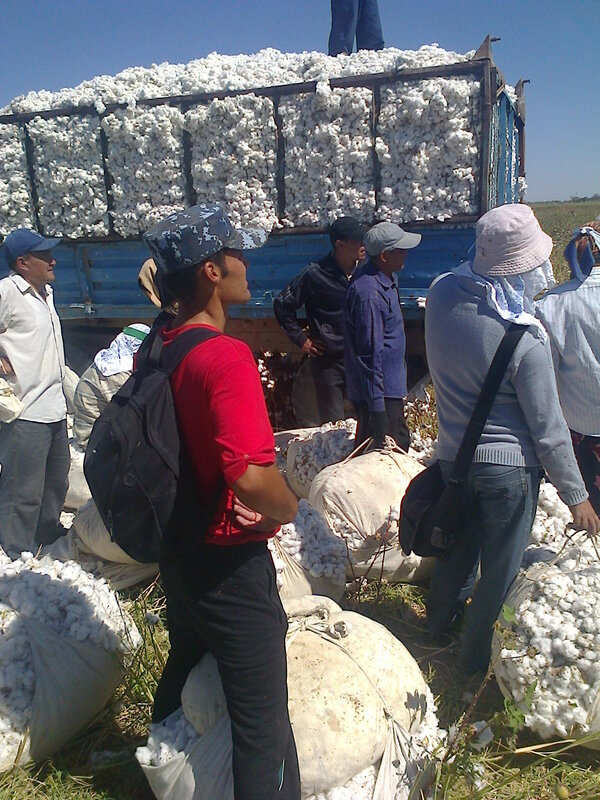 Lists of traveling “volunteers” are prepared by the management of institutions and handed over to the khokimiyats (local administrations), which traditionally control the whole process of cotton harvesting. 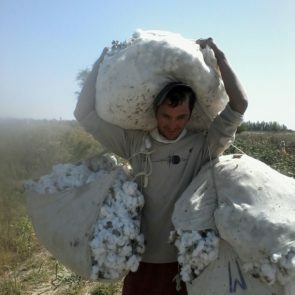 This year, the payment for the collection of 1 kg of cotton has risen in the Jizzak region to 500 Som (about $ 0.06), which is two times higher than in the previous year, and in the other regions to 400 Som (about $ 0.05). 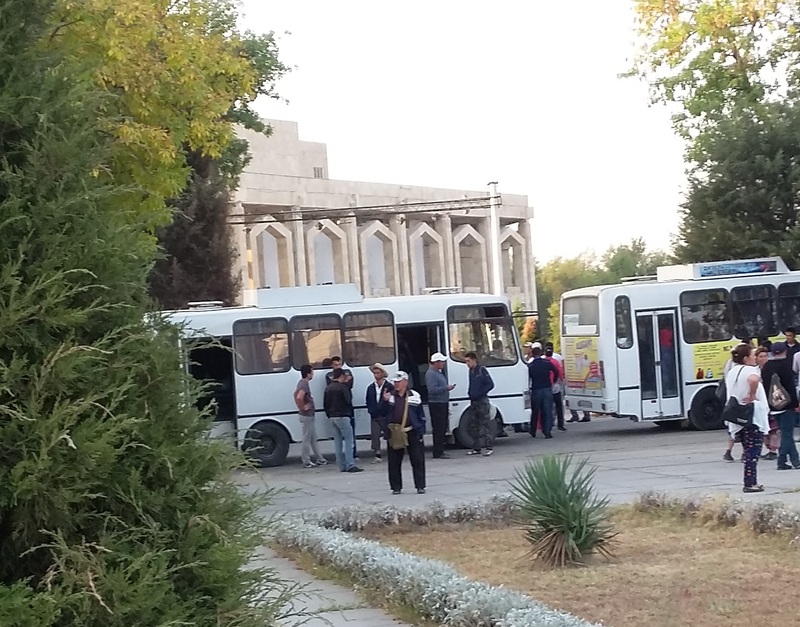 After Shavkat Mirziyev was elected the new President of Uzbekistan, the problem of employing teachers and doctors for agricultural work was raised in local media and discussed on state television. 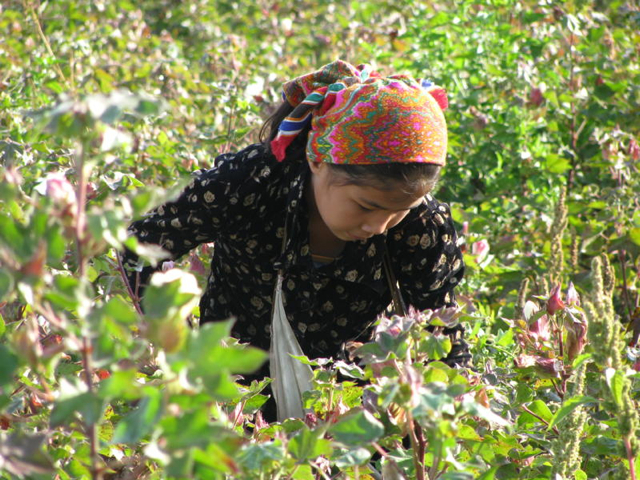 In August, the heads of the regions of Namangan, Bukhara, Kashkadarya, and Surkhandarya promised that no teacher or doctor would be involved in the cotton harvesting this year. 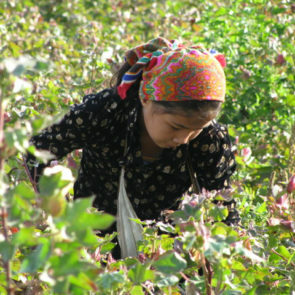 On August 15, at a meeting with the delegation of the US Senate Committee on Foreign Relations, Erkin Mukhitdinov, the Deputy Minister of Employment and Labor Relations, announced that the Uzbek government had banned the involvement of young people under the age of 16, as well as employees of organizations in the health and education sector in the cotton harvest in 2017. 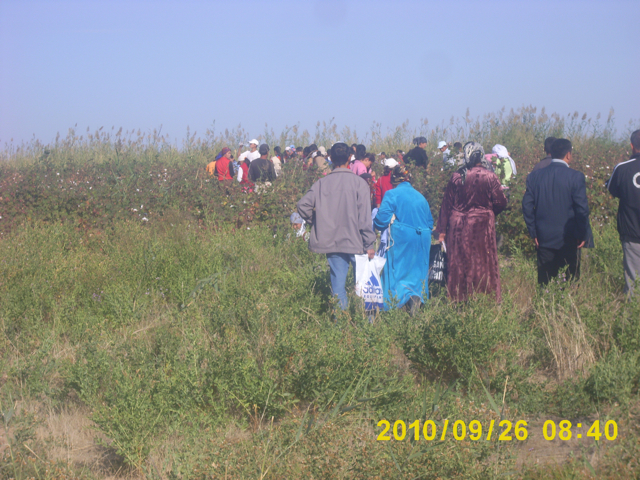 Forced labor was already used throughout the spring cotton works in May and June of this year. 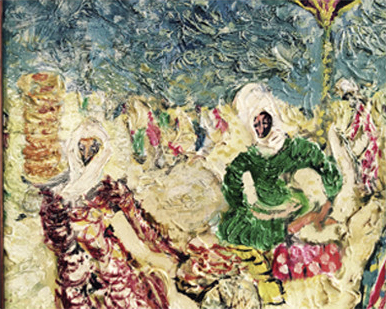 In the second part of this issue, we also take a look back to spring, when forced labor was once again used to prepare the cotton fields for the summer. 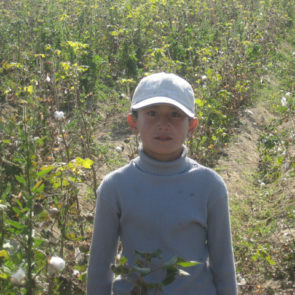 Hundreds of thousands of public sector employees throughout the country were once again mobilized to help local farmers in the cotton sector. 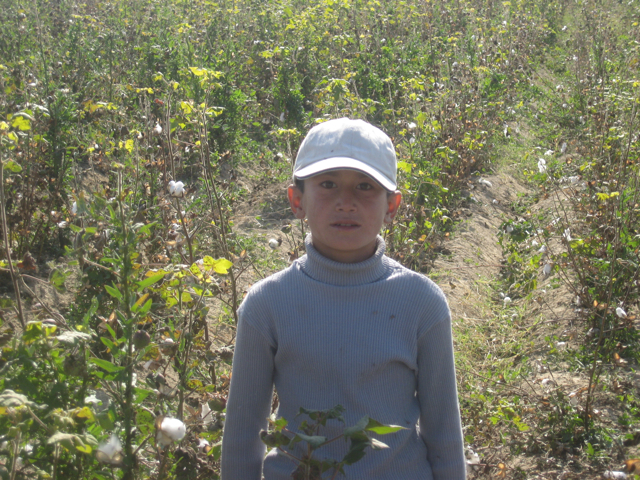 We present several interviews that our local monitors made with people working on the cotton fields of Uzbekistan in the spring of 2017. 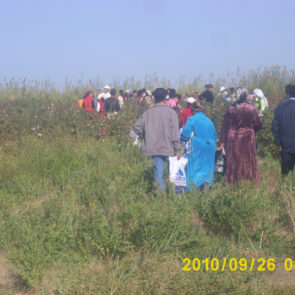 UGF has conducted a survey among employees of public institutions and is working on a follow-up report about forced labor in spring cotton works. 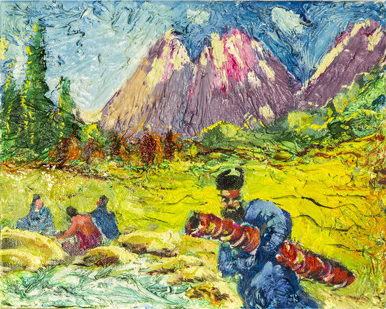 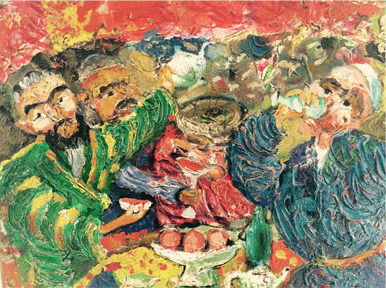 Download the CHRONICLE OF FORCED LABOR 2017, Issue 3 here.